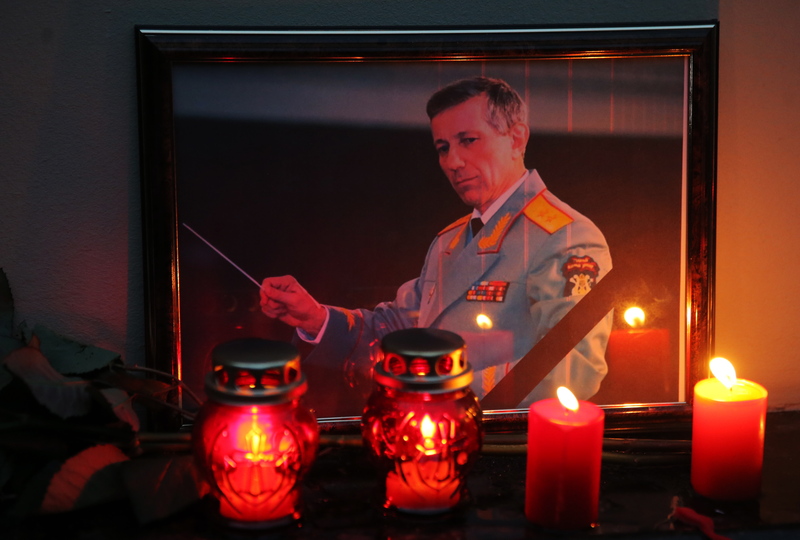 Sochi plane crash: What is the Alexandrov Military Ensemble? The choir’s conductor Valery Khalilov was also among the passengers. Formerly known as the Red Army choir, for the past 90 years, the Alexandrov Military Song and Dance Ensemble has been boosting the morale of Russian military personnel and delighting ordinary people in countries all over the world. Virtually the whole ensemble perished in the Dec. 25 plane crash near Sochi, in which 64 musicians were killed, with only two or three members reported not to have been on board. The members of the Alexandrov military choir that were killed in the Dec. 25 plane crash near Sochi were on their way to Syria to give a New Year performance for residents of Aleppo following the city's recapture from rebel forces. For the past 90 years (the ensemble was set up in 1928 and was originally known as the Red Army choir), its musicians have been performing in hotspots all over the world. When the band was first set up, it had just 12 members: eight singers, two dancers, an accordion player and a reader. By 1937, it had already 274 members. That same year the ensemble won a Grand Prix at the world exhibition in Paris. During World War II, the band created one of its most famous works, the song "The Sacred War,” which accompanied the Red Army as it set off for the front on Jun. 26, 1941. In the course of World War II, the ensemble gave some 1,500 performances at military units and field camps on Soviet territory. Later the choir performed in Yugoslavia and Afghanistan, Poland, Finland and many other countries. Composer Alexander Alexandrov, after whom the ensemble takes its name, is the author of the music of the Soviet anthem, which in 2000 became the Russian anthem (albeit with different wording). Sergei Mikhalkov, the author of the lyrics to the original Soviet anthem, later composed a new version of the text. The Alexandrov Ensemble gave their first performance in Syria at the Khmeimim airbase in January 2016. Read more: What caused the Tu-154 crash?